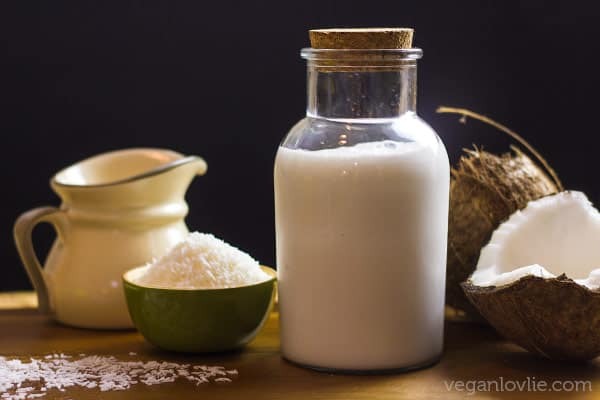 How to make Homemade Coconut Milk – vegan, dairy-free, nut-free, seed-free alternative to dairy milk. The method is quick, easy and very economical. This coconut milk is suitable for drinking, coffee/tea creamer, in curries and sauces. 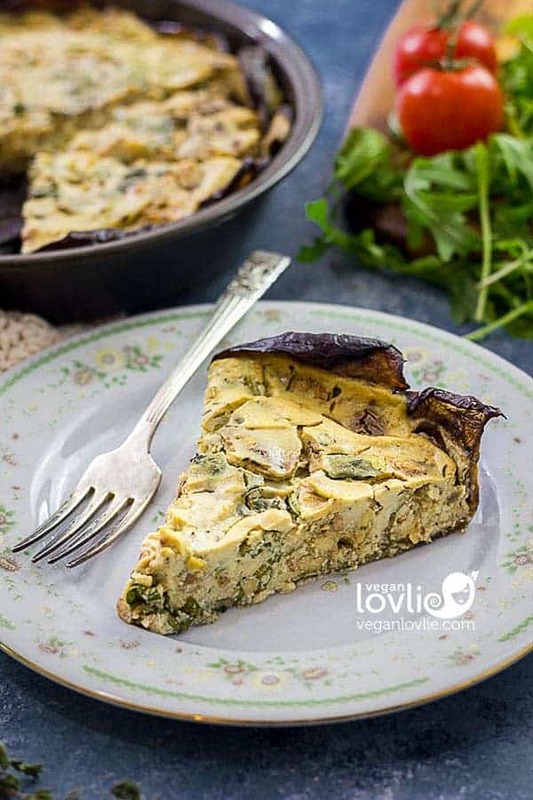 Ranging from nuts, grains, seeds to beans, plant-based milk has now gone mainstream taking more than just a spin on the dairy-free market with quite a wide choice on offer. 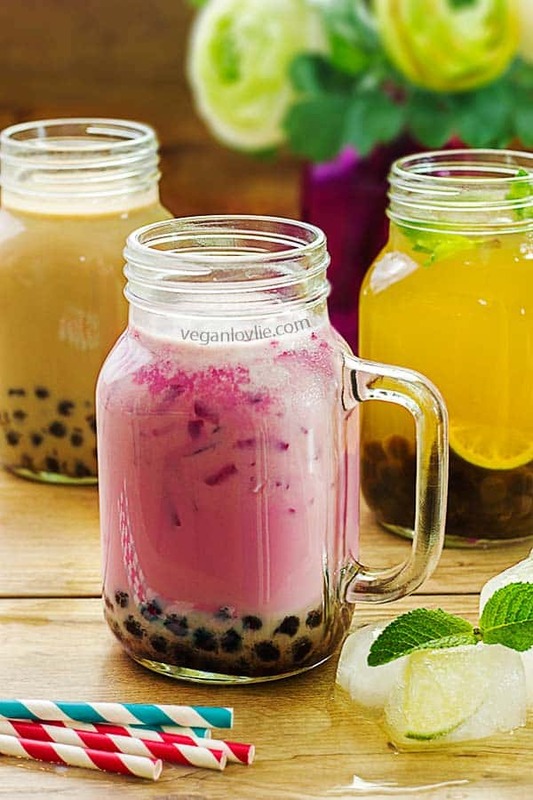 Without a doubt, these incredible advancements present a great convenience as more and more people are looking for non dairy alternatives. For practicality and to make my life easier, I do stock the pantry with a few cartons of store-bought oat, rice or coconut milk. However, everything does come with a price and not just the price tag itself. Commercial plant-based milks, like most products for that matter, remain relatively processed with additives to expand their shelf life, improve their consistency or taste. Luckily, making homemade plant-based milk is no daunting task at all and not something I would even categorise as being time consuming either. I actually regularly make my own oat milk and coconut milk. These are the two most common ones that I tend to make at home due to my nut and seed allergy. 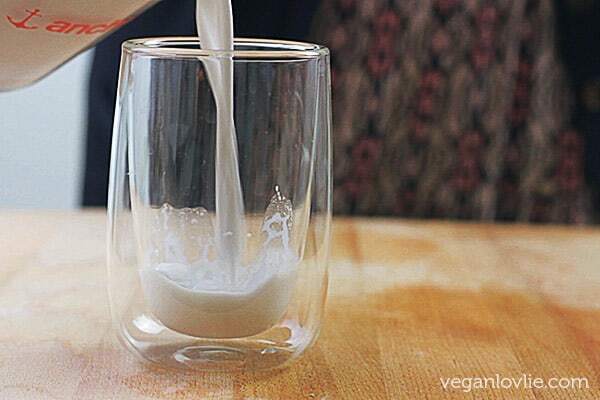 The benefits of making your own plant-based milk at home by far outweigh the time it takes; there is everything to gain. 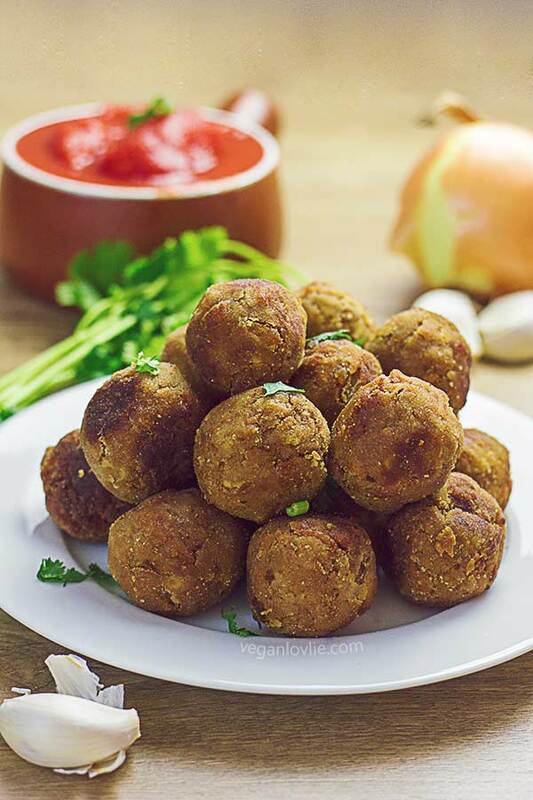 For sure, you know what you have put into it and it is fresh with no additives; I can barely pronounce some of these ingredients on some product labels, if you can relate. If you remember the homemade oat milk tutorial that I shared a while ago, making coconut milk is pretty much a similar process. I have, in fact been making coconut milk for far longer that oat milk. I tend to make coconut milk equally from the fresh coconuts as from the desiccated flakes depending on what I have on hand. 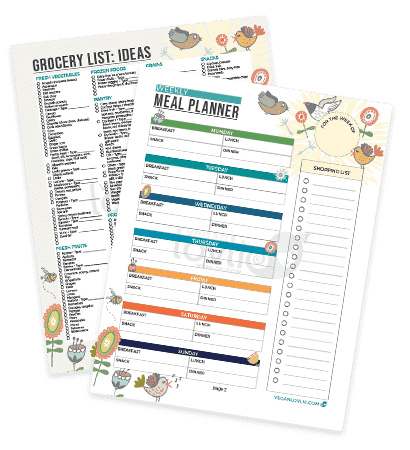 The desiccated flakes are easier to store and probably more easily available, although the fresh coconuts do present superior taste if consumed right away or within a day. Once extracted, the coconut milk has to be kept refrigerated. This will very likely cause the fat content in the milk to harden and deposit at the top, leaving the liquid at the bottom. You can either use the coconut solid and liquid separately or place the jar in a bain-marie over gentle heat to melt the solids. I often use the solid coconut separately to make fudge or homemade chocolate or even just as coconut oil. As for the resulting pulp, you can use them like desiccated coconut in recipes that call for coconut flakes, in cookies, cakes or just sprinkled over cereal. I like to freeze them until I get a certain quantity and then make coconut flour. For use in curries and sauces, a thicker milk is probably what you would prefer. So, play around with the proportions of coconut to water and adjust the creaminess. 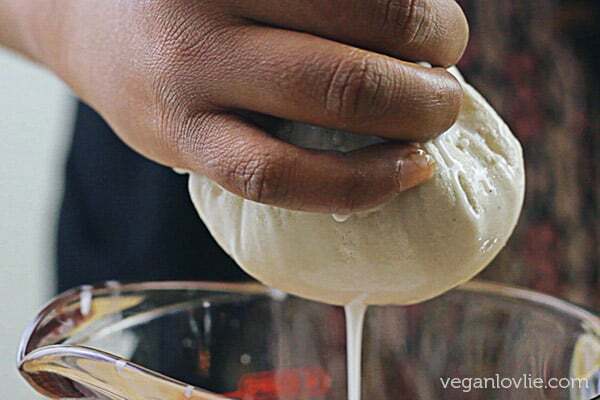 Watch the video for the step-by-step process for How to Make Homemade Coconut Milk. Soak the coconut flakes in the hot water for about 20 minutes. 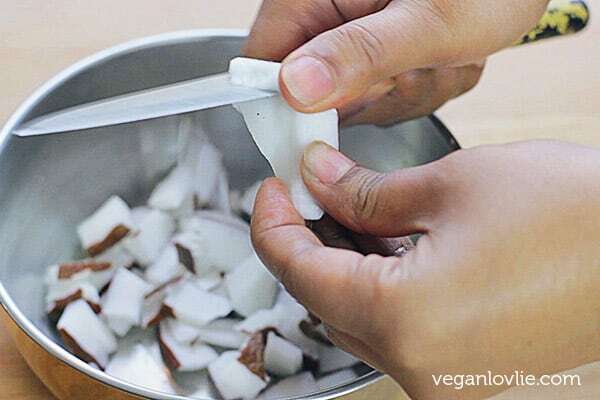 (Skip this step if using fresh coconut meat). Add the soaked coconut and water to a blender and process for one to two minutes. If using fresh coconut, you make want to process for a little longer (as the pieces are bigger). Pass the mixture through a strainer first and press out all the liquid from the pulp. 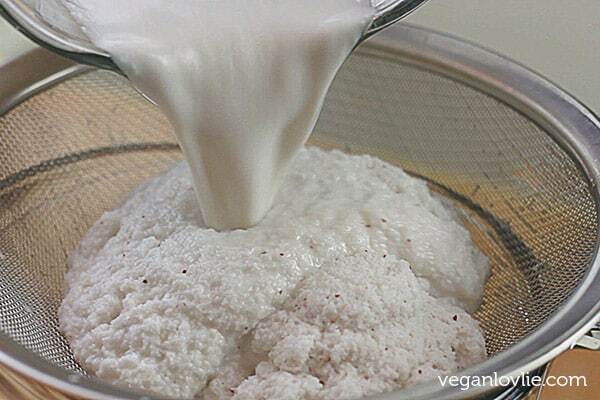 If you are using the milk in curries and sauces, just strained is probably enough. But if you are using this milk as a tea/coffee creamer or for drinking, you may want to pass it through a fine cotton cloth (or nut milk bag) to remove all the finer bits and grits. Store in a clean jar for up to 4 days in the refrigerator. Rewarm if required to melt the solid layer that may form on top. Enjoy! Try this homemade coconut milk in the Pear Custard Pie recipe that I shared previously. 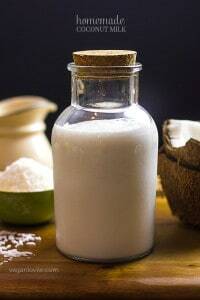 How to make homemade coconut milk – a vegan, dairy-free, nut-free, seed-free alternative to dairy milk. This can be used for drinking, as a coffee/tea creamer or in curries and sauces. I loooove coconut milk. I bet this would be great.